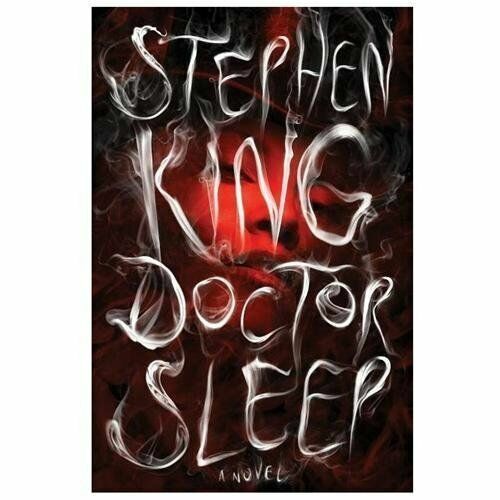 Stephen King returns to the character and territory of one of his most popular novels ever, "The Shining," in this instantly riveting novel about the now middle-aged Dan Torrance and the very special twelve-year-old girl he must save from a tribe of murderous paranormals. On highways across America, a tribe of people called the True Knot travel in search of sustenance. They look harmless--mostly old, lots of polyester, and married to their RVs. But as Dan Torrance knows, and spunky twelve-year-old Abra Stone learns, the True Knot are quasi-immortal, living off the steam that children with the shining produce when they are slowly tortured to death. Haunted by the inhabitants of the Overlook Hotel, where he spent one horrific childhood year, Dan has been drifting for decades, desperate to shed his father's legacy of despair, alcoholism, and violence. Finally, he settles in a New Hampshire town, an AA community that sustains him, and a job at a nursing home where his remnant shining power provides the crucial final comfort to the dying. Aided by a prescient cat, he becomes "Doctor Sleep." Then Dan meets the evanescent Abra Stone, and it is her spectacular gift, the brightest shining ever seen, that reignites Dan's own demons and summons him to a battle for Abra's soul and survival. This is an epic war between good and evil, a gory, glorious story that will thrill the millions of devoted readers of "The Shining" and satisfy anyone new to this icon in the King canon. Stephen King returns to the characters and territory of one of his most popular novels ever, The Shining , in this instantly riveting novel about the now middle-aged Dan Torrance (the boy protagonist of The Shining ) and the very special twelve-year-old girl he must save from a tribe of murderous paranormals. On highways across America, a tribe of people called The True Knot travel in search of sustenance. They look harmlessmostly old, lots of polyester, and married to their RVs. But as Dan Torrance knows, and spunky twelve-year-old Abra Stone learns, The True Knot are quasi-immortal, living off the "steam" that children with the "shining" produce when they are slowly tortured to death. Haunted by the inhabitants of the Overlook Hotel where he spent one horrific childhood year, Dan has been drifting for decades, desperate to shed his father's legacy of despair, alcoholism, and violence. Finally, he settles in a New Hampshire town, an AA community that sustains him, and a job at a nursing home where his remnant "shining" power provides the crucial final comfort to the dying. Aided by a prescient cat, he becomes "Doctor Sleep." Then Dan meets the evanescent Abra Stone, and it is her spectacular gift, the brightest shining ever seen, that reignites Dan's own demons and summons him to a battle for Abra's soul and survival. This is an epic war between good and evil, a gory, glorious story that will thrill the millions of hyper-devoted readers of The Shining and wildly satisfy anyone new to the territory of this icon in the King canon. My favorite sequel! Such a great value too! If you have read The Shining or collect Stephen King books this is a must have! $50 for a great slipcase and novel I will cherish for years! Loved this book, I didn't realize that it was the sequel to The Shining with the son Danny all grown up and you figure that out within the first few pages but I guess only if you've seen the movie or read the book that is. We knew the son was special and Stephen King can always surprise with his new characters and their dark needs and deeds. Excellent book, I'm so glad I bought it, I couldn't stop reading it and finished it in 3 days over the holiday. Highly recommended! Black Leopard Red Wolf by Marlon James (2019, Hardcover) 1st Ed. FREE SHIPPING! !